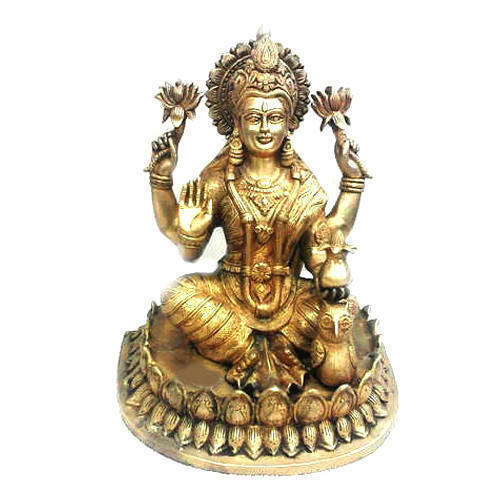 Prominent & Leading Wholesale Supplier from Chennai, we offer Brass Lakshmi Statue, Nataraja Brass Statue, Brass Ganesh Statue, Brass Radha Krishna Statue, Brass Buddha Statue and Brass Cow Statue. We are offering a wide range of Brass Idol. We offer our clients attractively designed range of Brass Idols that are designed keeping in mind the diverse requirements of our clients. We are one of the highly acclaimed companies that offer an extensive range of Brass idols to meet the needs of our clients. These products are sturdy in construction and are available in different sizes and lengths as per the requirements of our esteemed customers. These trophies are also available with an attractive stand that makes them firm and durable.